LONDON — Tate Modern’s retrospective of Mona Hatoum spans the artist’s 35-year career, and she has made a lot of art. Hatoum’s works mine geopolitics, gender, art history, and her own past to reveal a world that is frightening and complex. But sadly, despite her formidable body of work, the exhibition’s curators have included too many pieces so that what should be a space for reflection instead comes across as a jumble. The exhibition’s one true showstopper is right around the very first corner: In “Corps d’étranger” (1994), Hatoum explores her own body with a magnifying camera to produce an invasive and chilling video. Displayed in a camera obscura–like tube, the video renders the body abstract. Corps d’étranger translates to “stranger’s body,” and indeed the body is rendered strange and alien as it swells and contracts. Hair, tissue, and fluids have become unfamiliar and alarming, fragments to be surveilled and investigated. Like a horror film or a car accident, the video is both transfixing and haunting. Adding to this is the isolated experience of viewing the video, which can only be seen by a few people at a time. 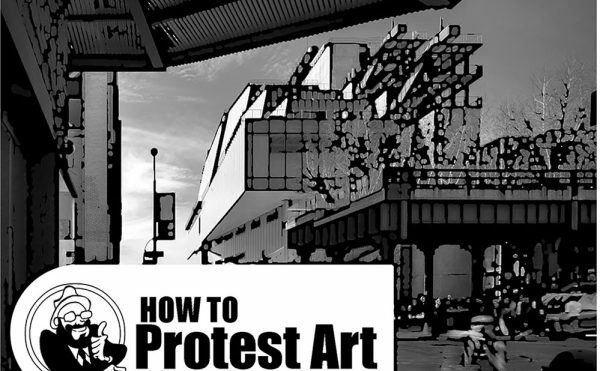 That Hatoum allows us to invade her body makes every moment spent watching feel like a violation, and the choice to exit the crowded gallery to watch the assault makes it doubly so. Hatoum was born in Beirut to a Palestinian family and forced into exile in 1975; she now splits her time between London and Berlin. Some of the more thought-provoking objects on display examine displacement and her heritage with an eye towards the Middle East. Indeed, Hatoum is most successful when she interrogates the politics of her homeland. 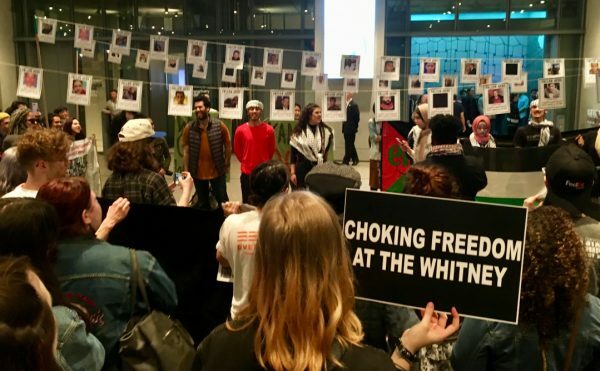 “Twelve Windows” (2012–2013), for which she collaborated with members of Inaash, the Association for the Development of Palestinian Camps, has 12 hanging embroidered squares or windows, each symbolizing a different geographic region. Decorated with rich reds and blues, the squares crisscross the gallery, overlapping, obscuring, and destabilizing one another. On a more intimate scale, Hatoum weaves human hair in “Keffieh” (1993–1999) to form a black and white headscarf. The keffiyeh is worn by men throughout the Arab world, and here the associations with masculinity are subverted both by the (ostensibly) female hair and by the emphasis on sewing. Finally, in “Present Tense” (1994), she again creates a fabric of sorts but instead of cloth she uses 2,200 blocks of olive oil soap made in Nablis, north of Jerusalem. The creamy grid of soaps carpets the ground and is decorated with red glass beads that demarcate the 1993 Oslo Accords. The map is subtle and fragile, as if any movement would knock the beads askew. Although solidly situated on the ground, “Present Tense” nonetheless seems precarious, and, in this sense, mirrors the peace process itself. Taken together, all three works express simultaneously a certain longing and unease Hatoum harbors towards her homeland. Hatoum’s practice is layered and asks for contemplation. By abstracting the everyday, objects are made distressing, with an enormous cheese grater becoming an instrument of torture. Seemingly innocuous items — hair, cots, a birdcage — induce anxiety, and are a reminder that the world can be a chilling place. We should be shocked into consciousness, furious at those causing torment and pain, but in this exhibition her works are so cluttered that they are partly muted. Simply put, the exhibition is too damn large. The works, ordered not chronologically but by what Tate has termed “a series of juxtapositions,” feel haphazard and chaotic. Some of the small works on paper such as “Untitled (relief)” (1977) and “Untitled (piquage)” (1977), are lost, overwhelmed by the sheer number of things to see. These evoke the simplicity and delicacy of an Agnes Martin canvas, and their small scale and mostly monochromatic composition suggests a tenderness not found in her other art. 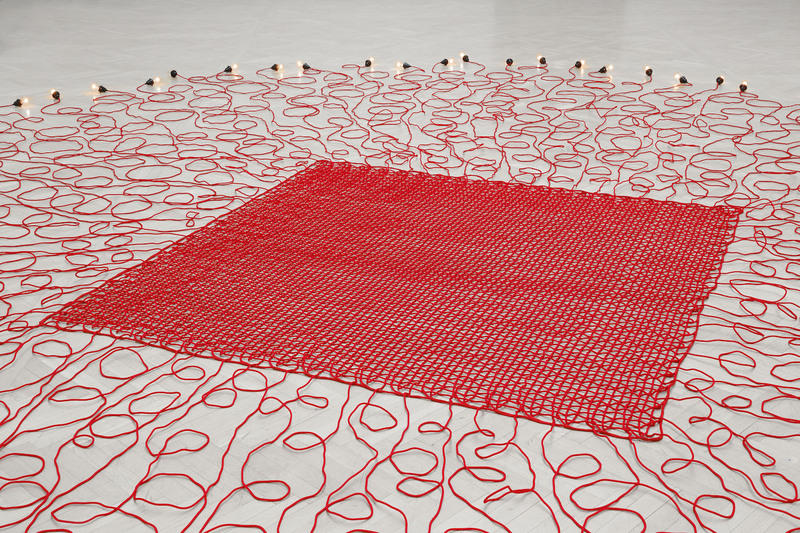 The last gallery offers some respite with “Undercurrent (red)” (2008), a web of red cables knit together to form an enormous mat. Its fringe is capped with lightbulbs that glow and dim at what Hatoum calls “breath’s pace.” Finally, space to breathe! But that it is given to one of the milder, more innocuous pieces of the exhibition is frustrating. At her best, Hatoum’s art is provocative and confrontational, meditating on realities that often are overlooked or pushed aside. Instead of capitalizing on this, and closing with, for example, “Homebound” (2000), an electric and electrified domestic setting of eerily empty seats and metal bedframes, the exhibition concludes on a quieter note, the lights in “Undercurrent” pulsing like the slow, belabored pant of a runner reaching the end of a marathon. 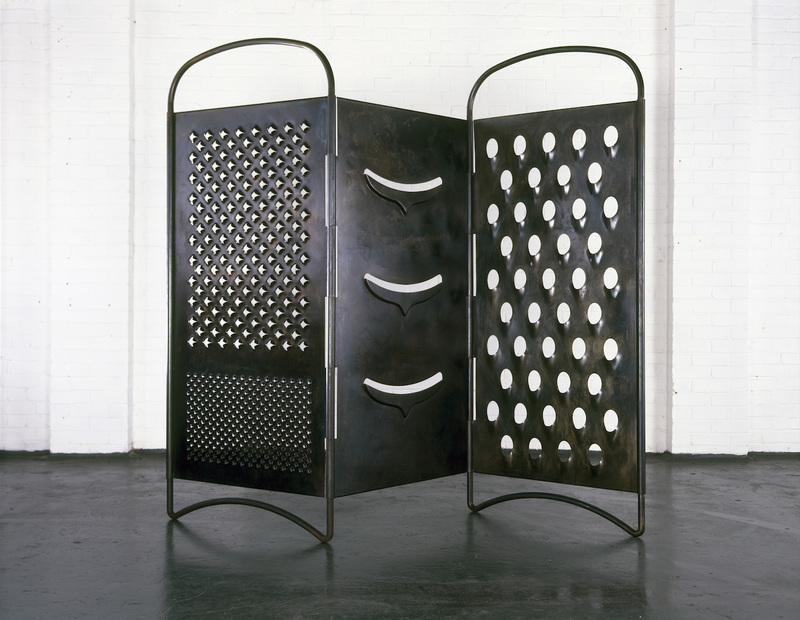 Mona Hatoum continues at Tate Modern (Bankside, London SE1 9TG) through August 21.